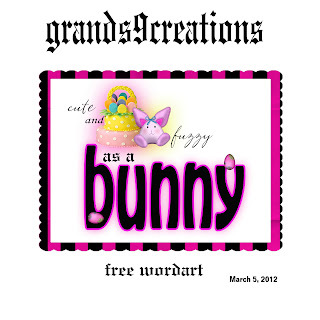 If you like (love) word art, here is the place you should visit - grands9creations. Also look at the newer post where she is sewing her first pillow case by herself. She has a future in creating - both manually and digitally. Please leave her a comment. We all know how great it makes US fell, so think how fantastic it will make a 7 year old feel. You can get Allison's word art and all of Sue's if you click on the image above and browse around a bit. Good Luck and See You Soon. Wow she is amazing - I can't sew that good! I did go visit and leave a message! Great to see the next generations so talented! Aaaahhhh!!! You are going to give me such a big head. lol I am so glad that you liked it. I was just thinking back of when I was a teenager .... and that thought came. I always just let the words come and go with it. Thanks so much. Also, I am so excited ... my son called and they are going to induce his wife tomorrow. Grandchild number nine will make it's arrival!!! I can't wait to meet him. I am keeping the other two sons tomorrow, so I won't be posting a newbie on Thursday unless I get home before 7:30am. Going to keep the boys at their house, so I'll be tired!!!! The other two boys are 3 yrs and 16 mos. Needless to say ... those parents don't know how bad their world will be upside down ... lol.